This comprehensive guide will teach you how to set up your business and become a mobile hairdresser. Written by Katie Morris it is an excellent resource for anyone who is considering this career path. Being a mobile hairdresser has numerous benefits. 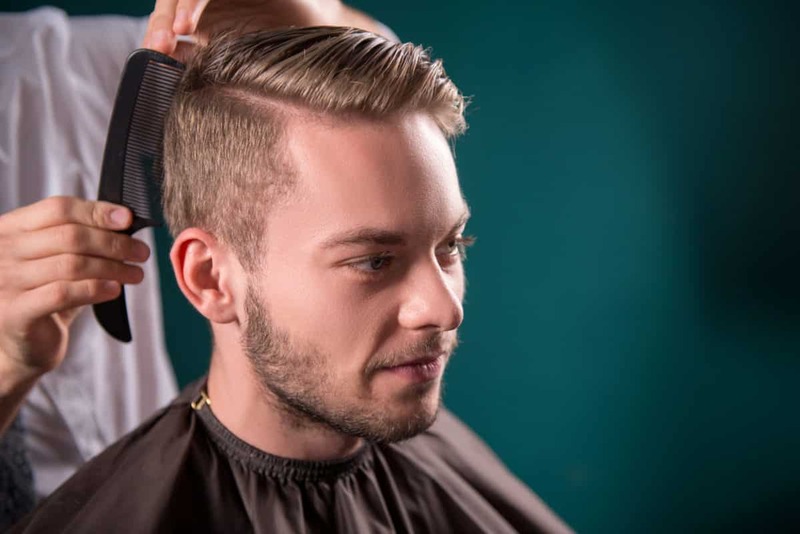 To begin with, people will always need a hairdresser, regardless of the economic climate; therefore, mobile hairdressers will never be out of work. In addition to this fact, the hair and beauty industry is growing extensively. As a mobile hairdresser you won’t be just cutting your customer’s hair, you will also be offering them other services too. This comprehensive guide will teach you how to set up your own mobile hairdresser business. Written by Katie Morris it is an excellent resource for anyone who is considering this career path. Working for yourself as a mobile hairdresser has many benefits. As your own boss you get to work the hours that you want, when you want. Of course, it is only natural that you will want to take advantage of the opportunity to grow your business and as such, it is highly likely that you will be working many hours during the week. 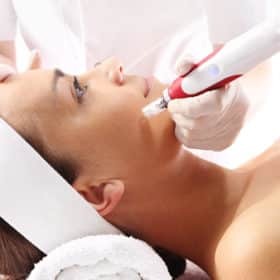 You may also find that your clients will require a service in the evenings, which will give you time during the day to carry out other tasks and also work on marketing and promoting your business. Within the how to become a mobile hairdresser book you will learn how to set up, promote, expand and nurture your own mobile hairdressing business. 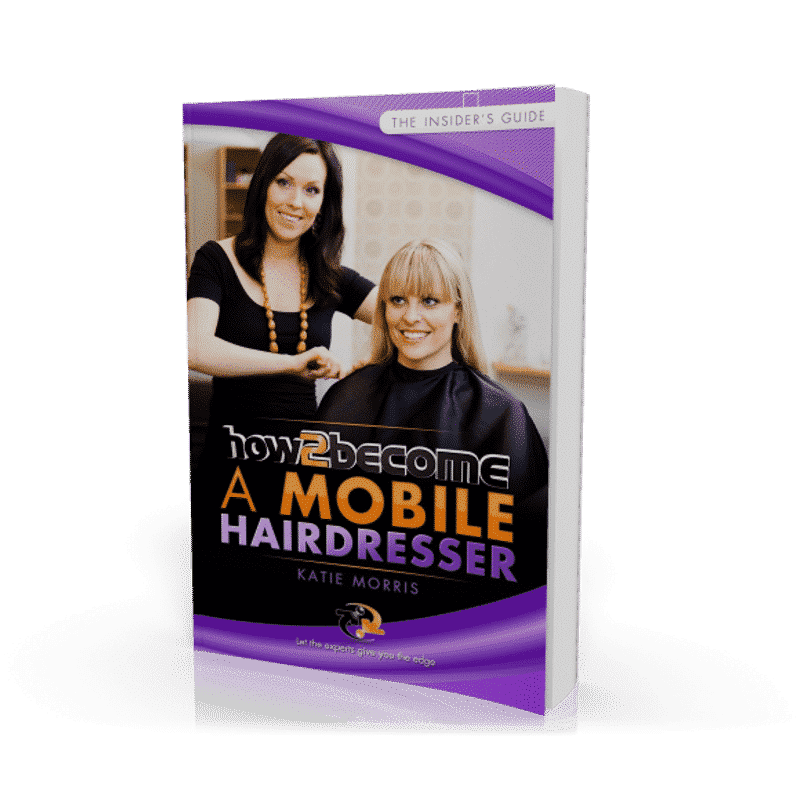 Before we provide you with more information about this highly informative book, let’s take a look at a number of important tips on how to look after your customers once you have set up your mobile hairdressing business. We have all had experiences of terrible customer care – or ‘Customers? I don’t care!’ as some shops seem to be saying. When we receive bad service from a company we don’t want to continue to deal with them, no matter how good their product might be. Remember this important point: You might well be the best, most skilled hairdresser in the world, but if you don’t look after your clients properly and treat them well, you will never be successful in this or any business. Conversely, even if you are an average hairdresser, with fairly good skills (but wouldn’t win any competitions, perhaps), you can still build up a fantastically profitable business if you have the right attitude. Your clients, quite simply, are your business. Ignore their needs at your peril. The first thing to remember as a mobile hairdresser is that each and every one of your clients needs to be made to feel special. The time they have booked with you is their time, and their time alone. Try to limit the number of phone calls you take while you are with one client – if necessary, turn your phone off until you leave. If you absolutely have to answer the phone, apologise and keep the call short and to the point. Don’t talk non-stop about yourself. Of course, your clients are interested in hearing all about you and what you have been up to since they saw you last, but they also want to feel that you are interested in them. 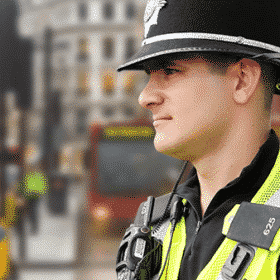 Try to remember at least one thing about them – their children’s names, their favourite restaurant, where they work, an event they are looking forward to. If your memory isn’t very good, make notes when you leave each client. A few words in your diary, referred to when you next visit, could make the difference between client retention and client attrition. Another way to make your mobile hairdressing clients feel special is to listen and take them seriously when they talk about their hair. Yes, many clients are difficult to please, and yes, some do have unrealistic expectations. But your job, as their hairdresser, is to make them feel that they are easy to please, realistic, and a joy to work with. Manage this and you will have the most loyal clients around. You absolutely must not mess your clients around when it comes to their time. Time management is one of the most important skills of the mobile hairdresser – and one of the hardest to master when your clients are spread all over town, with bad traffic, school runs and speed-cameras all fighting against you. The key is to allow enough time for appointments. Read this again. Allowing enough time for appointments reduces the chances of you running late, and causing your clients, and yourself, unnecessary stress. It will be tempting to pack your clients in tightly; you need to earn money and this may seem like a sensible strategy at first. You will soon come unstuck, as clients begin to get fed up with you always being late, always being rushed, always chasing your tail. There is a far easier way and it takes us back to planning and our minimum hourly charge. Once you have worked out your initial figures and come up with your minimum hourly charge, you need only to make sure your prices reflect this and there is no need to pack in too many clients into too short a time-slot. It is usually hairdressers who are actually charging too little who end up over-booking in this way. Know your area very, very well so you can more accurately predict travelling times. Always allow yourself a lunch hour. If you begin to get behind, you can use this time to catch up. Write your clients’ phone numbers in your diary, or carry your address book with you at all times, so you can at least call clients to let them know you will be late. Fill up with fuel on your way home each day. This way you won’t be caught out, late and running on an empty tank. Your clients are also busy people. They may have taken an afternoon off work to get their hair done, organised childcare, cancelled other appointments, etc. If you can’t show them the respect to at least turn up on time, why would they keep having you back? No matter how good you think you are. Bearing in mind that your clients are your most important asset, you must get into the habit of doing everything within your power to retain their business. How will you know if you are losing clients? You need to keep some kind of database so you can review it regularly and see who is currently booking appointments and who has fallen by the wayside. A simple spreadsheet is all that is needed. Have columns with the names and addresses of your clients, when they booked their last appointment, and when their next is due. This may be anything from one to eight weeks, depending on the client and the service they usually have. Once a week update the spreadsheet from the information in your diary, and then look at the dates for your ‘overdue’ clients. Once these clients become more than a month overdue, they should be considered ‘lapses’, and their details entered into another spreadsheet or list. Never forget about your lapsed clients. They are far more valuable to you than you realise. Getting them back may be a lot cheaper than getting new clients to replace them with, through costly advertising or promotions. Your previous clients have tried you out, they know you, and they know (hopefully) that you are professional and skilled. Whatever their reasons for straying, there is every chance you could win them back. Never stop sending them information – until they call and ask you to! The above tips and information will give you a taster as to what it is like being a mobile hairdresser. Assess your own motivations and capabilities and discover whether self-employment is for you. Explore the upside and the downside to running your own business before taking the plunge. Understand the tax and legal implications of being self-employed and learn all about planning. Who is your competition? What will your business be called? Answer all these questions and produce a business plan you can use to guide you – or to gain valuable investment. Use every tool available to you to build up your business base. Advertising, referrals, leaflets, discounts, posters and special offers – learn how to use these to pull in clients from many sources. Consider building a website and keep an eye on which form of advertising works best. Always keep an eye on keeping your clients happy. 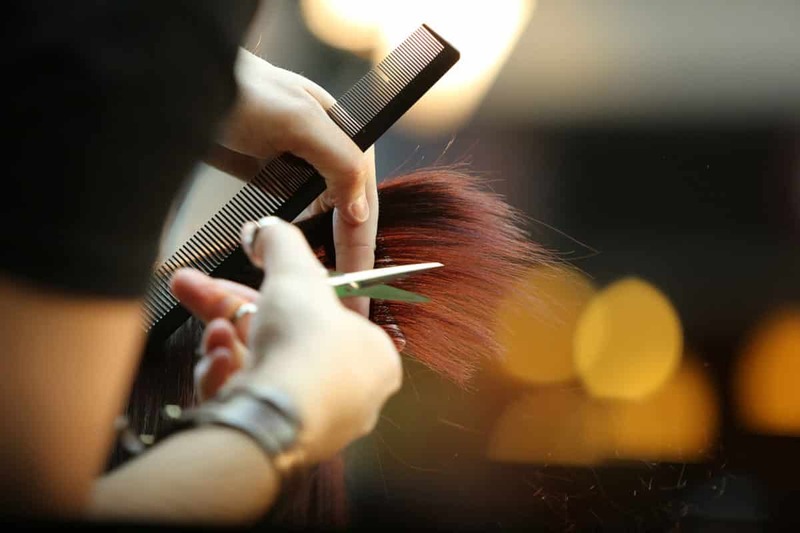 Explore the reasons why hairdressers lose clients and learn how to avoid common pitfalls. Become an expert in customer care with questionnaires, newsletters and follow-up services. Be prepared for difficult situations and learn how to deal with them calmly and confidently. Explore all things financial – without fear! Learn how to keep records, manage your banking and produce accounts. With sample forms and spreadsheets to get your business up and running in no time. Don’t get stale! Prepare now for keeping on top of your business growth with ideas for increasing your revenue without increasing your effort. Learn how to recognise, and capitalise on, your ‘A’ clients. And keep your skills current and on trend with training and investing in yourself. How to Expand your Mobile Hairdressing Business.